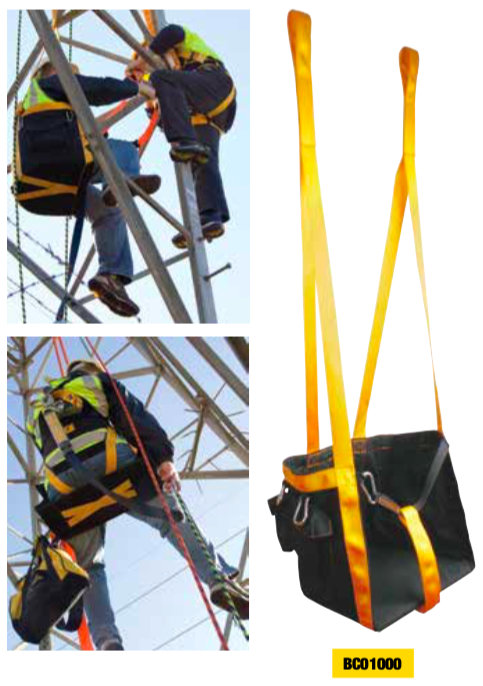 Boson’s Chairs are ideal devices when a worker needs to be suspended in a specific location to be able to carry out a job. 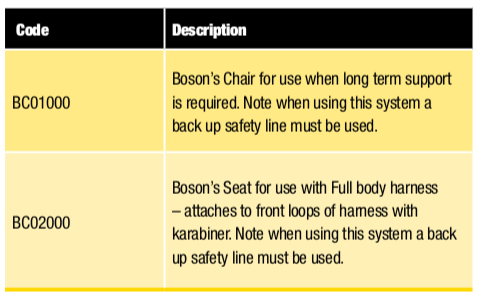 There are specific requirements for the use of Boson’s Chairs and only people with the required training should be using these items. The chair supports the user so that they are not loading the harness, which is also attached to a second safety line.